Most revelers at the Black Gold Professional Rodeo in Leduc enjoy a wagonload of other activities, beyond watching the thrilling riding events. 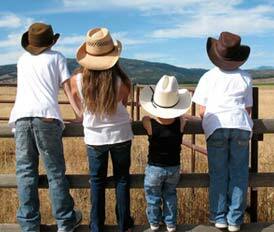 One of the most popular is the "Dance in the Dirt" celebration which takes place on the Friday night of Rodeo Weekend. There is something deeply satisfying about kicking up your heels amid the aromatic scent of pony pucks. It harkens back to an earlier era of barn dances and the simple life, which many of us have lost on our journey into the new millennium. Dance in the Dirt is a great way to recapture the innocent enjoyment of a long ago age. For some citified folk, the thought of doing The Macarena while enveloped in the scent of manure may be a bit off-putting. They don't understand, for us agrarian types, the barn-like bouquet is music to our noses. However, if these escapees from the concrete jungle give it a whirl, Dance in the Dirt is an experience they will remember for a lifetime. As an added bonus, the earthy, organic floor-covering significantly cuts down on people "break dancing" or doing "the worm", which we all know looks ridiculous next to the lovely image of couples doing a traditional two-step. 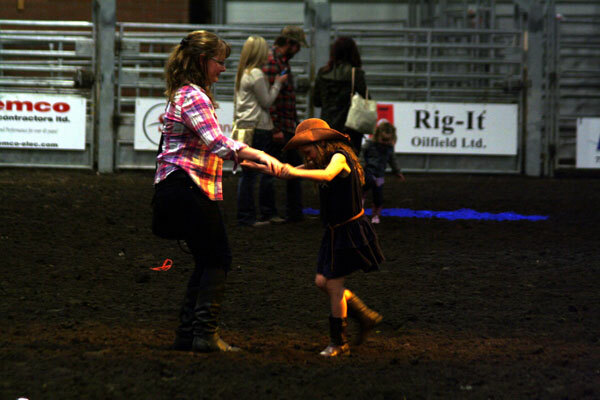 Whether you're a career agriculturalist and intimately familiar with the pungent perfume of the rodeo venue, or a visitor who is new to earth-based dance floors, the long-standing Black Gold Rodeo tradition of the Dance in the Dirt is not to be missed. There's no better way to find a fella or a filly to get down and dirty with a country music ditty.